From March 29th through April 4th, the Middle East & North Africa Consultants Association (MENA Consultants), in collaboration with the U.S. Commercial Service, brought a delegation of embassy officials, regional experts, and international economic development organizations to the West Coast for an event series on “Opportunities for West Coast Businesses in the Gulf Cooperation Council”. Events were held in Seattle, Washington on the 29th; Portland, Oregon on the 30th; San Francisco, California on the 31st; Silicon Valley, California on the 1st ; and Los Angeles, California on the 4th. Ambassador James Smith (Ret. ), former U.S. Ambassador to the Kingdom of Saudi Arabia joined the delegation as the keynote speaker at all five events. 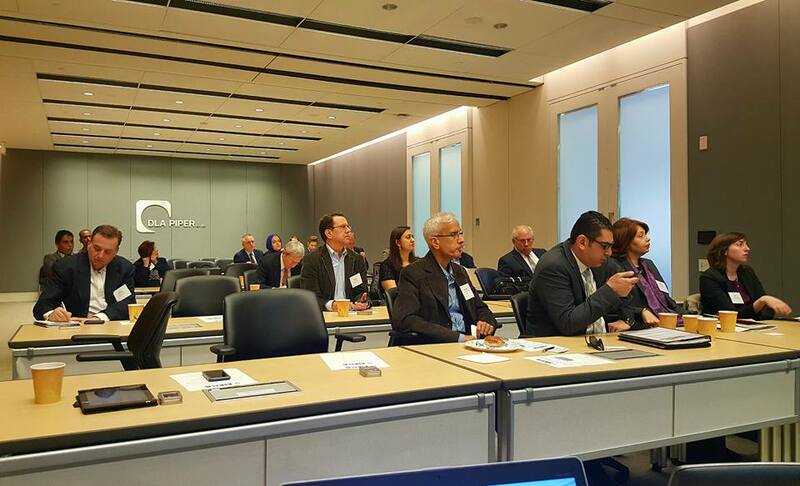 Dr. Mohamed Ahmed, the Deputy Chief of Mission of the Embassy of Bahrain, also participated as a keynote speaker during the two Bay Area events. "This series offered emerging companies great insight into new markets," offered Matt Gardner, CEO of the California Technology Council. "We were proud to partner on these briefings and we'll certainly look for more opportunities to provide our members with this kind of access to market experts." The traveling delegation included Shireen Said, Commercial Attaché at the Embassy of Oman, Charley Kestenbaum, B&K International and former U.S. Commercial Service officer in the UAE, Lucy Emerson, Country Representative of the Bahrain Economic Development Board, and Mohammed Barakat, Managing Director of the U.S.-Qatar Business Council. The event series was sponsored by Qatar Airways, K&L Gates, DLA Piper, and Thompson Coburn. In addition to the U.S. Commercial Service, the event series was produced in partnership with numerous local, regional, and national organizations, including the EXIM Bank, the Small Business Administration, California Technology Council, CleanTech Alliance of Washington, Los Angeles Chamber of Commerce, University of Washington’s Foster School of Business, Seattle Trade Development Alliance, World Trade Center Los Angeles, Portland State University’s Middle East Center, and World Affairs Councils.